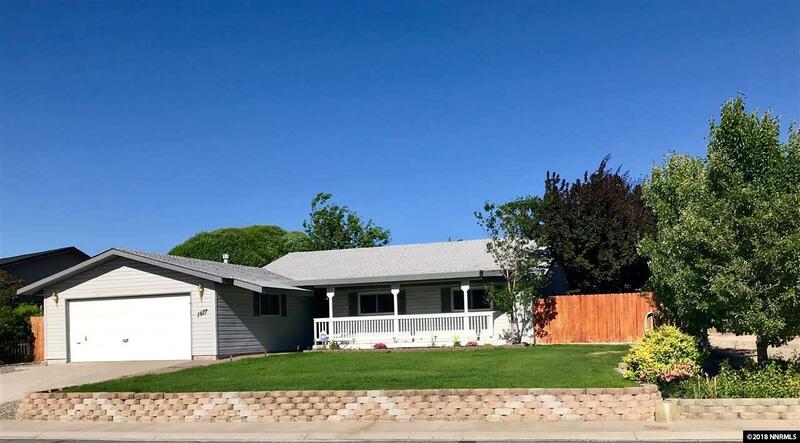 Rare 4 bedroom, 2 bath home in the Gardnerville Ranchos. Open floor plan and large bedrooms - plenty of space for all to enjoy. This home backs up to a greenbelt. Fully landscaped front and back yard with a back patio. The covered front porch is a great space to sit and enjoy the unobstructed views of the mountains.